Pure Joy! 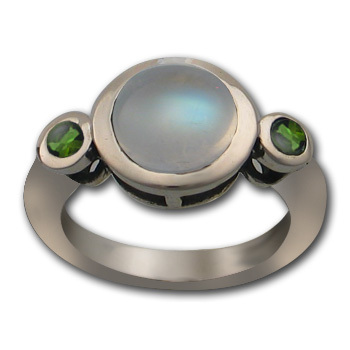 A 9mm Rainbow Moonstone is brilliantly framed by two 3mm emeralds in this dramatic piece. The hues of blue will delight you as will the solid feel of the ring itself. 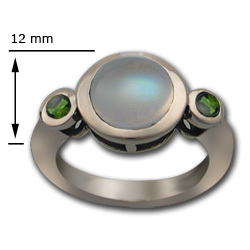 Cast in sterling silver and polished to perfection, you will not be disappointed.